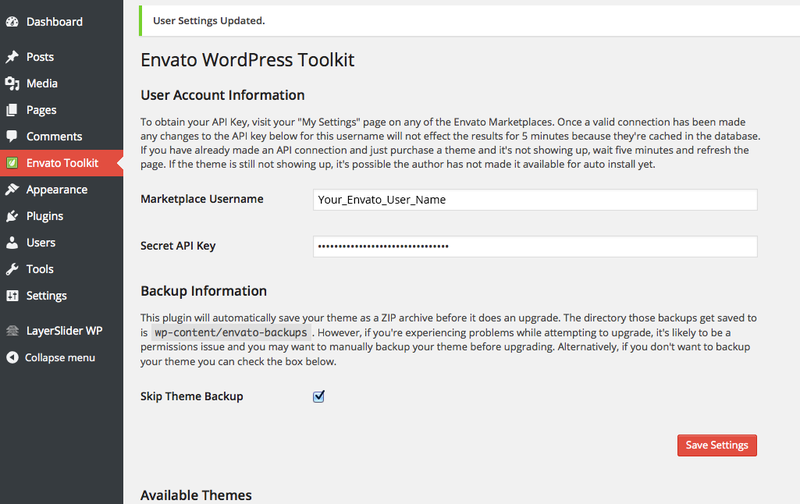 You will start by requesitng your Envato API key. All you have to do is login to Themeforest and visit your user profile page. Click on Settings. You Should see an API Keys tab below. 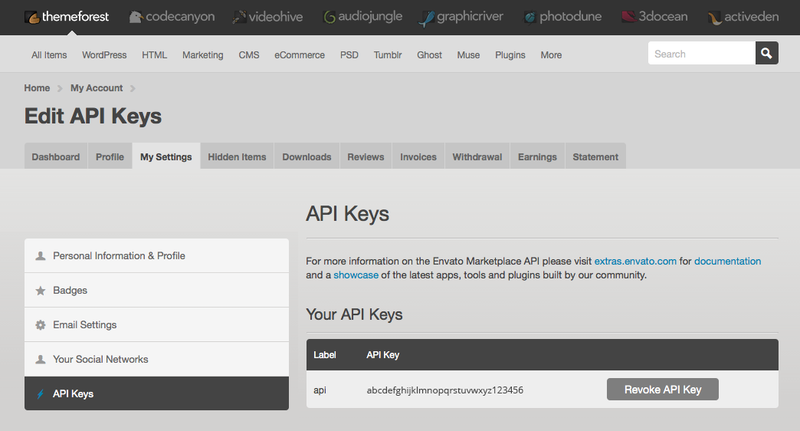 Just click the button to generate your API key. 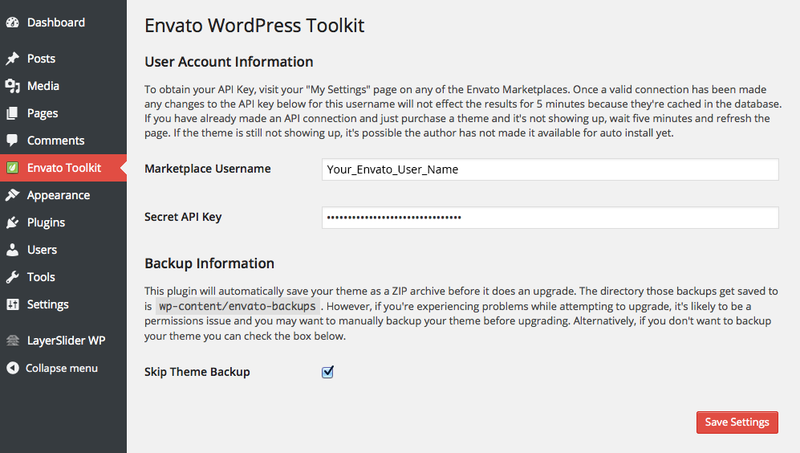 Once saved, the toolkit should recognize your API key and display all of your Themeforest purchases. If the plugin doesn’t recognize your API key it’s possible your key is still too new. Try clearing your cache or refreshing your browser, and if that doesn’t work then wait a little and try again.